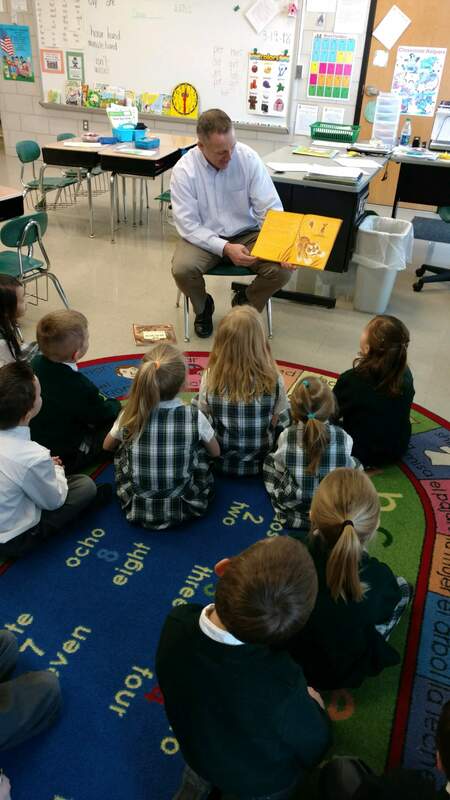 Mrs. McGrath’s kindergarten classroom celebrated reading month by inviting parents to come in and read to the students. The parents brought in their child’s favorite book to read. 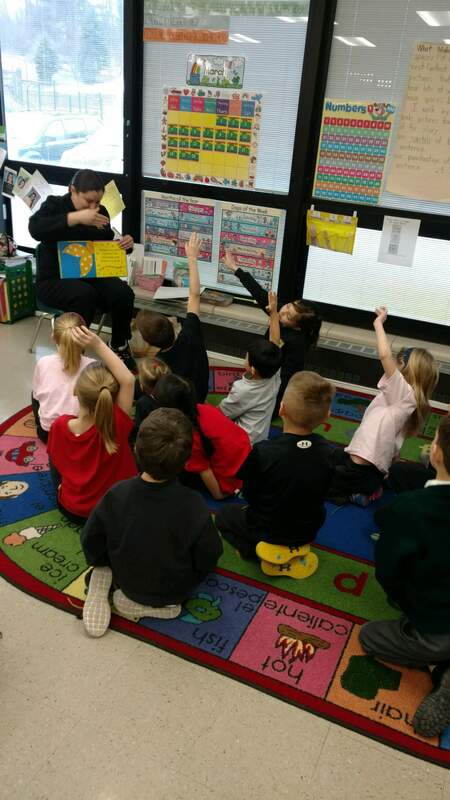 Students had a lot of fun guessing who the guest reader was going to be for the day! Mrs. De Loza gave the students a special treat, reading to them in Spanish. The students also learned some Spanish vocabulary!